Julian Gorring has been the state’s top-ranked 182-pounder in Class 2A for almost the entire season, but it looks like the Fort LeBoeuf senior will miss the postseason for an alleged incident involving a teammate that Gorring’s father says was retaliation for ongoing racial and verbal abuse. Gorring has been suspended by the school district, according to his father, and will miss the District 10 North Section tournament scheduled for this weekend unless his family can get a court injunction to stop the proceedings. Multiple sources have contacted PA Power Wrestling over the past few days with allegations that Gorring and another senior teammate have been suspended by the school for an alleged incident involving a third member of the Fort LeBoeuf wrestling squad. PA Power Wrestling will not identify the other wrestlers involved unless their families agree to speak on the record about the situation. David “Buzzy” Gorring told PA Power Wrestling on Monday that his son is serving out-of-school suspension through Feb. 21 for an incident that took place on Feb. 5 in the wrestling room. He would not comment on the other wrestler who was suspended and did not reveal the name of the third wrestler. Fort LeBoeuf coach Jason Beer said all inquiries were to be directed to school Superintendent Rick Emerick. 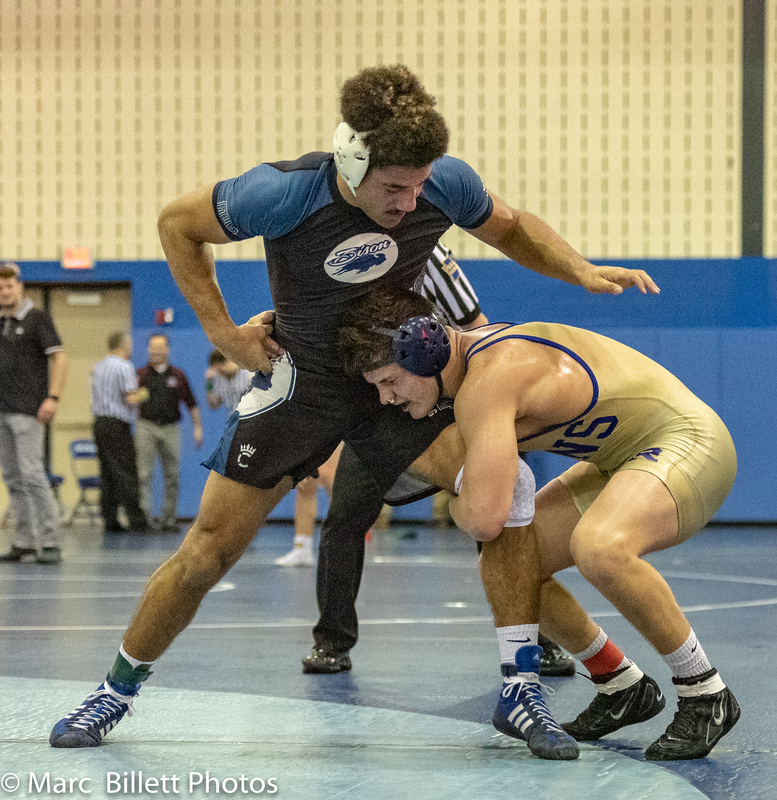 Emerick told PA Power Wrestling he is unable to discuss the situation, or even confirm that if a student is suspended from school that he or she would be barred from participation in extracurricular activities. PA Power Wrestling contacted the mother of the third boy involved in the incident on Tuesday morning. She declined comment. Attempts to reach the mother of the other wrestler who reportedly was suspended were unsuccessful. The elder Gorring said that his son knows what he did was wrong. Gorring claimed that his son has been harassed by the younger, smaller wrestler over the course of the season and further alleged that on two occasions the underclassman used a racial slur in front of Julian Gorring, who is biracial. David Gorring also alleged that the boy antagonized his son into the action. “He was provoked,” David Gorring said. “In the court of law, if you’re in a bar fight and a guy says, ‘Go ahead, go ahead, punch me in the face’ … he basically asked for what he wanted. If you hit him, he asked for what he wanted. David Gorring and his wife, who are white and adopted Julian Gorring when he was young, say they plan to seek legal action. Gorring doesn’t think his son should escape punishment for his actions, but says it should not cost him the remainder of the wrestling season, especially if the other boy goes unpunished for his alleged actions. Julian Gorring is a two-time state medalist – including a runner-up finish at 182 pounds last season – with a career record of (135-32). He is 29-1 this season and has committed to wrestle at Appalachian State in the fall. David Gorring said that he contacted Appalachian State coach JohnMark Bentley to inform him of the situation and plans to keep him informed. And the father plans to continue to fight for his son. He said the next step is to seek a court injunction for a civil rights violation. “If I can get an injunction, it stops all of the proceedings and he’s able to wrestle,” David Gorring said. Wendy Burbules has identified her son Brent as the other wrestler suspended by Fort LeBoeuf in the alleged incident. She provided PA Power Wrestling with his account of what allegedly happened on Feb. 5. In it, he describes a mostly lighthearted situation between the three team members during a wrestleoff. “This was not a hostile exchange, we were all laughing about this including (the third boy),” Burbules wrote. “After Julian does this is when the mood seemed to change,” Burbules wrote. Burbules described the the third boy as becoming “irritated” and screaming for the older wrestler to let him go, and then saying that he is going home. “I am sincerely sorry and I will always look back on it and have regrets,” Burbules wrote. Eric covers wrestling for The Tribune-Democrat in Johnstown and has written for a number of other publications through the years. A former Division I wrestler, he's covered more than a dozen PIAA tournaments and four NCAA tournaments. His Knops Knotes blog focuses primarily on Districts 5 and 6.